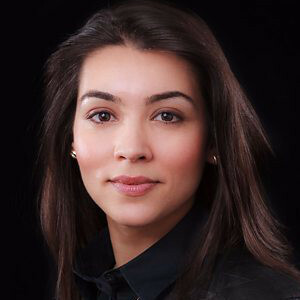 Dr Emman El-Badawy is Head of Research at the Tony Blair Institute for Global Change (TBI), where she leads on evidence-based research relating to violent and non-violent extremism. She holds a PhD in Arab and Islamic Studies from the University of Exeter. Emman writes and researches on the social and political development of the Middle East, extremism and global terrorism networks and ideologies, as well as identity and globalisation. Her thesis explored international school-educated Egyptian students’ attitudes towards the West and other states, and their value orientations compared to national-school educated Egyptian students. It was a critical study into the power education interventions have in shaping and reshaping identity and nationalist sentiments. Before her role at TBI, Emman was a consultant on counter-extremism, assisting in a portfolio of multiagency projects. Prior to that, Emman was Senior Analyst at the Centre on Religion and Geopolitics. She has also served as a BBC expert voice on Islamism and extremism since 2014, and provides commentary for various media outlets on conflicts in the Middle East, security and terrorism.